Convenient and effective tips to train your writing skills. The answer is: Yes! But here, in this series, we will talk about it as the last one for scientific reasons. The writing training is mechanical. It requires motor coordination and activates the other senses mentioned before. Check out a few practical tips to practice this skill, which is not as difficult as it seems. 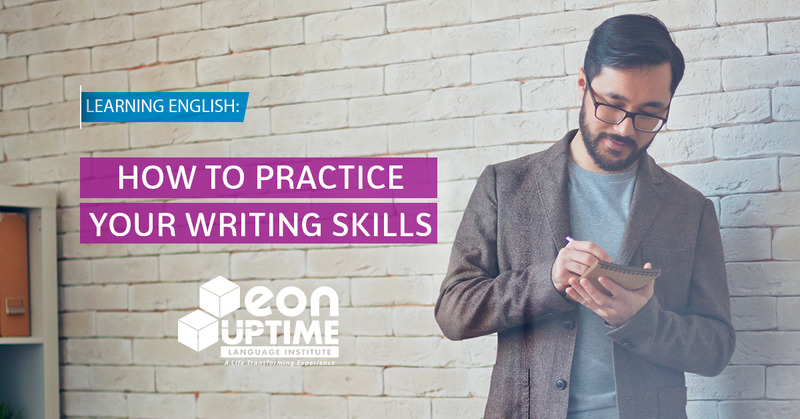 Just like in any language (even your native language), by reading in English you’ll also train your writing skills, since you’ll know how the words are spelled and how to use them in sentences and expressions. So, we can see that in order to become fluent, a skill should always “communicate” with the others: they are all connected. ... but have someone to correct you, an appropriate feedback is essential. Write down anything you need in English. If you think that you may have made mistakes (after all, a few mistakes are usual and natural, even in our native languages), show it to someone who can help you: a native English speaker or your course instructor. As we have said here before, in order to have an effective learning process, there must be efficient monitoring, especially for moments like these. Play a CD, a DVD or even a podcast and write down what you hear, pausing it when you need to. This way, you’ll also practice your listening skills. Once again, you’ll practice two skills at once!